Calgary, March 8, 2017 – The Alberta Securities Commission (ASC) is marking Fraud Prevention Month 2017 with a stunning public awareness campaign. It carefully orchestrated the perfect fraud – a fake investment seminar, which attracted nearly fifty unsuspecting investors – to show Albertans how simple it is to become a victim, and to raise awareness about the red flags of investment fraud. The ASC held an event on February 22nd, which was billed as a real estate investment seminar held by “Maplestock Investments”, a fake company that was created by the ASC. An actor was hired to play the role of the ‘mastermind’ – British-born financier Jonathan Fisher. The ASC developed a detailed fake profile for Maplestock and Mr. Fisher, including a website, Facebook page and LinkedIn profile. The seminar was advertised on numerous channels including Facebook, Eventbrite, Google display ads, Craig’s List, Kijiji and home delivered flyers. Forty-eight people registered for the event and 22 people attended, looking for a new investment opportunity. 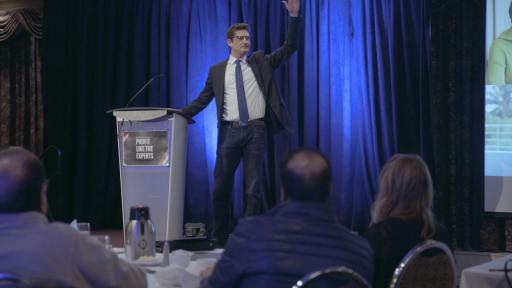 Halfway through the packed event, it was revealed to the audience that the entire seminar was a setup, designed to educate Albertans about the realities of investment fraud. The entire event was filmed and turned into an educational video for Fraud Prevention Month. The ASC strongly encourages investors to always check the registration of the person or company offering an investment opportunity. Generally, anyone selling securities or providing investment advice in Alberta must be registered with the ASC. The national database can be accessed through the ASC’s investor education website – www.checkfirst.ca. In this case, neither Maplestock Investments or Jonathan Fisher were registered, which would have been revealed with a simple National Registration Database search. 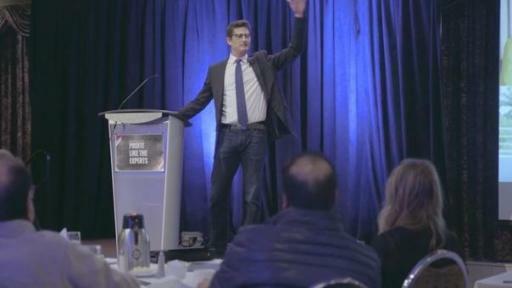 The event advertisements were viewed by Albertans nearly six million times and more than 8,500 potential investors took the extra step to click on the Facebook, Google display and other event ads that promoted the campaign. Unregistered salespeople. Neither Maplestock Investments or Jonathan Fisher are registered with the ASC. With very limited exceptions, anyone selling investments in Alberta must be registered. Promises of guaranteed returns. 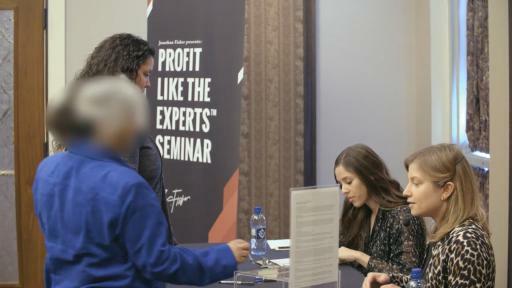 The ads for the seminar claimed it would be an “opportunity that guarantees returns for your future.” Promises of high rates of return with low or no risk are commonly found in investment scams. Exclusive offers or insider tips. The seminar was called “Profit Like the Experts,” and was pitched as an opportunity known only by a select few who are said to be making a lot of money. If these “select few” are making a lot of money, ask yourself, why would they be pitching the opportunity to you? Research the opportunity before you invest. Investment offers from complete strangers. No one who attended the seminar had ever heard of Maplestock Investments or Jonathan Fisher, because they didn’t exist until the ASC created them. If you are approached out of the blue by someone who you do not know, offering an investment you know nothing about, you significantly increase your risk of becoming a victim. If an investment is worth your money, your registered investment adviser will be aware of it or will be able to help you decide whether or not to invest. High pressure tactics. The ads used high-pressure language like “space is limited, “we’re filling up fast” and “sign up now to save your spot.” Scam artists use this tactic to pressure you into making a quick decision and exploit your fear of missing out on a valuable opportunity. Take the time you need to research any investment opportunity and get independent third-party advice.